They first met when she stopped at Sewell on the go for a coffee on her way to work. 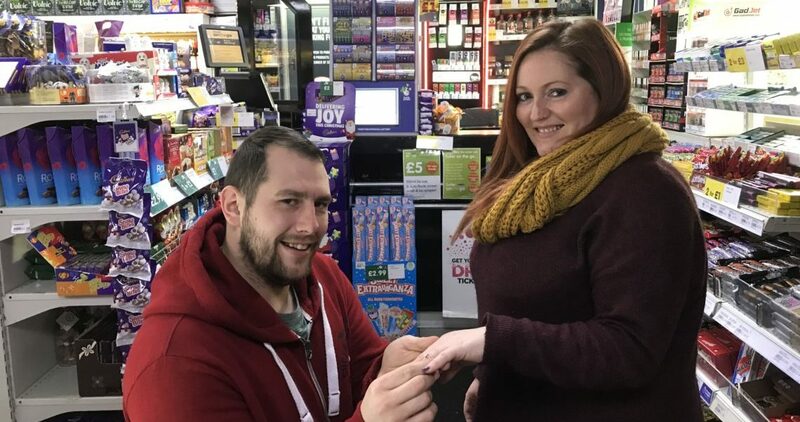 Now, 16 months on, Sewell on the go Sales Assistant Craig Godfrey and Laura Orr are about to tie the knot after Craig got down on one knee in the Holderness Road store and asked for her hand in marriage. The couple had spent the day in York, where Craig secretly bought the engagement ring, on the day of the proposal. He managed to sneak into a jewellery shop on his own and pick out the perfect ring, hiding it in his jacket pocket as they made their way back to Hull. Stopping at Sewell on the go later that day, Craig managed to convince Laura they were stopping for coffee before he placed a ‘marry me’ charm in a gift-wrapped box next to her as she chose the hot drinks – the exact location where they first met. Stunned, Laura turned around to find Craig on one knee with the ring, but happily accepted and the couple are now planning their special day in summer 2019. 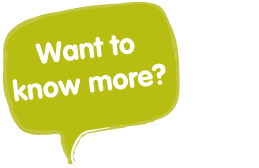 Craig, 29, who has worked for Sewell on the go for more than five years and is currently studying a sports science degree to become a PE teacher, said: “I remember the day Laura came into the store on her way to work in July last year. “We chatted at first, then became friends on Facebook and through text, and here we are now. “Her first word after I popped the question was ‘really?’ before she actually said ‘yes’, as she was so shocked and a bit shaky. “My work colleagues didn’t have a clue and I only asked her dad the day before, as I wanted to keep it quiet. “Once I’d asked her, it was like a weight had been lifted. I wanted to ask her in the place where we first met. The couple, who have three children between them, live in east Hull and plan to spend 2018 saving to enjoy their special day the following year. Although the proposal, which was captured on the store’s CCTV, happened on October 26th, they plan to celebrate the occasion with family and friends in the New Year. Laura, 33, a carer, said: “I didn’t see it coming at all, but it’s brilliant and so romantic. How many people can say they have their proposal on CCTV? “I still can’t believe it has happened. I’m over the moon and it’s time to start planning. “Apparently, I was in the next shop when he bought the ring in York. I was waiting for him to find a cash machine and he was longer than expected, but I didn’t think anything of it. Then we came back to Hull and he had put so much thought into the proposal. Store Manager Sue Abbott said she was delighted for Craig and Laura and wished them a lifetime of happiness as they plan their future together.